Summary: Ed Wilson, Microsoft Scripting Guy, talks about the future of the Hey, Scripting Guy! Blog and other stuff. Microsoft Scripting Guy, Ed Wilson, is here. If you are a regular reader of the Hey, Scripting Guy! Blog, you will no doubt have noticed that I have not been very active these past several weeks. However, it is a testament to the Windows PowerShell community—especially to Microsoft MVP, Sean Kearny and the Scripting Editor, Dia Reeves—that the blog has not missed a single day of posts. Sean did an excellent job of rounding up guest bloggers, and Dia did a tremendous job of ensuring that all of the content was edited, staged, and properly published. Well, the other day the Scripting Wife (aka PowerShell MVP, Teresa Wilson) and I made a trip to Jacksonville, Florida. It was the first time in nearly two months that I had even been out of the house. As we were driving along, I saw a sign…. 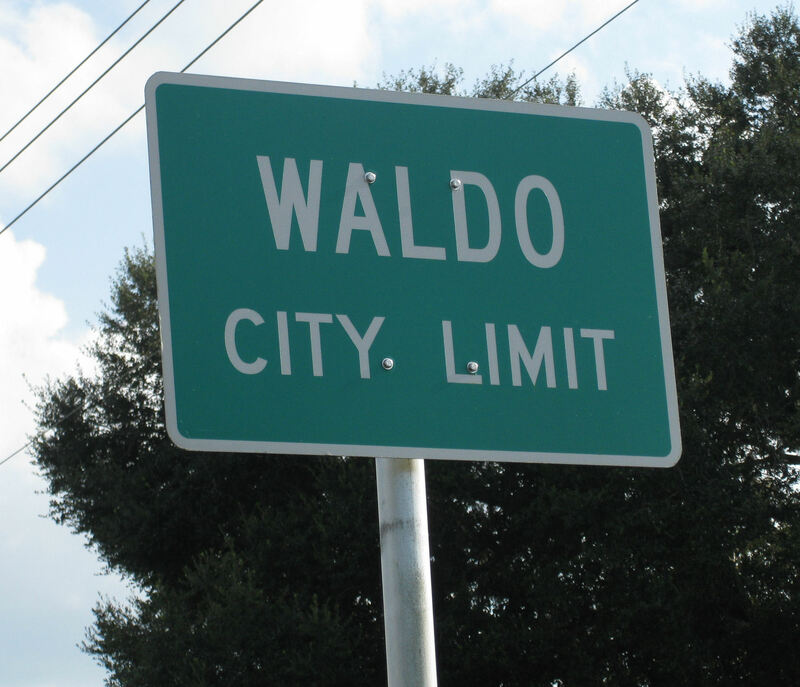 Dude, we had found Waldo. We have been really busy lining up a truly impressive list of speakers for the first ever PowerShell Saturday to be hosted in Tampa. I will be keynoting the event, along with Mark Minasi. In addition, Mark and I will be delivering individual sessions. There will be four different tracks. We have the awesome Ashly McGlone and Jason Walker from Microsoft, in addition to MVPs Adam Driscoll, June Blender, Sean Kearny, and Jim Christopher. Nearly half of the speakers have spoken at conferences such as TechEd, TechReady, Ignite, or the PowerShell Summit. Did I mention that it is Tampa in March? Tampa in March is beautiful, and besides that, it makes for a great long weekend (Tampa is a little more than an hour from Orlando). Sign up soon because all prior PowerShell Saturdays have sold out, and you do not want to miss out on this awesome event: PowerShell Saturday #010: Tampa, Florida – March 19th, 2016. You may have seen on our Facebook site that I am now on the #MSOMS team, and that I have recently started the Operations Management Suite Blog. This does not really change things here very much because my new manager, Jeremy Winter, wants me to continue with the Hey, Scripting Guy! Blog. This is great news for the Windows PowerShell community because the HSG blog is the most popular blog at Microsoft, and it is a great showcase for writers from the community. In fact, it was the first blog at Microsoft to make use of guest bloggers from the community. That tradition will continue—in fact, it must continue because I have also started the Operations Management Suite Blog. It is a very natural progression because the approach to the product is much the same as that of the Windows PowerShell team. One of the things that makes PowerShell so popular and such an awesome product is that the team listens to and is engaged with the community, and they try to implement as much of the feedback as possible. The OMS team is the same, with the added benefit of having quarterly releases for our cloud-based solution. But for a Scripting Guy it is even better because OMS does PowerShell—in some cases (such as with workflow automation and Desired State Configuration), it does PowerShell better than PowerShell does. This is simply the natural place for me. I talk about this in the blog post that I used to kick off the #MSOMS blog: What is Microsoft Operations Management Suite and why is it cool? Check out the Operations Management Suite Blog when you have an opportunity. One thing is for sure, the Hey, Scripting Guy! Blog will continue, and I will still be the Scripting Guy. In addition, the Scripting Wife and I will be at PowerShell Saturday in Tampa, and we are both going to be at the PowerShell Summit this year in Seattle. We are also planning a Scripting Guys booth at Ignite. I am also planning to have an OMS booth at Ignite, so we will be heavily staffing the HSG booth with community members, and the Scripting Wife and I will be floating between the two booths. It is going to be an exciting year—but then, it is always exciting. Join me tomorrow when I will have a guest post by Adam Bertram about advanced Windows PowerShell functions.